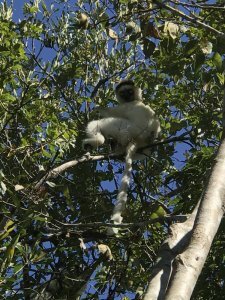 GROWING UP IN MADAGASCAR FOLLOWING LEMURS AND MADAWORKS’ PROGRESS IN MADAGASCAR! Returning to Madagascar is like going to a family reunion. I spend the first few days of my time in Tana. I enjoy the hustle and bustle of the busy city streets and catching up with old friends and making new ones. After a few days however, the cars, the pollution, the crazy excitement of being back to a familiar place wears away and I am happy to be on the road to Ranomafana and Centre ValBio. As a member of the Board of Madaworks I am excited to see our progress. As a teenager I had the good fortune to experience Madagascar at an early age. Because my mother, Dr. Patricia Wright, was working with the Malagasy Government to establish Ranomafana National Park to preserve forests for the lemurs she studies, I decided to spend my senior year of high school in Madagascar. Following lemurs through the forests, learning Malagasy, having independence and building lasting friendships was too irresistible to pass up. Which is partly why I feel so much at home every time I go back to this welcoming country. Ranomafana is a good 6 to 7 hour drive from Tana. As you leave the city you become enveloped in red. The red clay soil of is how the country got its French nickname “L’ile rouge.” In the drive down to Ranomafana the only relief from the red clay earth are the lush green rice paddies that spread across the landscape like patchwork quilts. The drive down is a reminder of how little forest is left in Madagascar. When we finally get to Ranomafana, it is evening. You cannot see the forest through the darkness, but you can feel it. The omnipresent insects noises and the cool humid over oxygenated air invigorates my soul. I am amazed at the number of tourists walking by the side of the road at night as we enter into the National Park territory. The sparkle of lights shows the way along the side of the road; flashlights picking up the eye shine of frogs, spiders, and mouse lemurs. Cameras flashing like fireflies to capture an image. 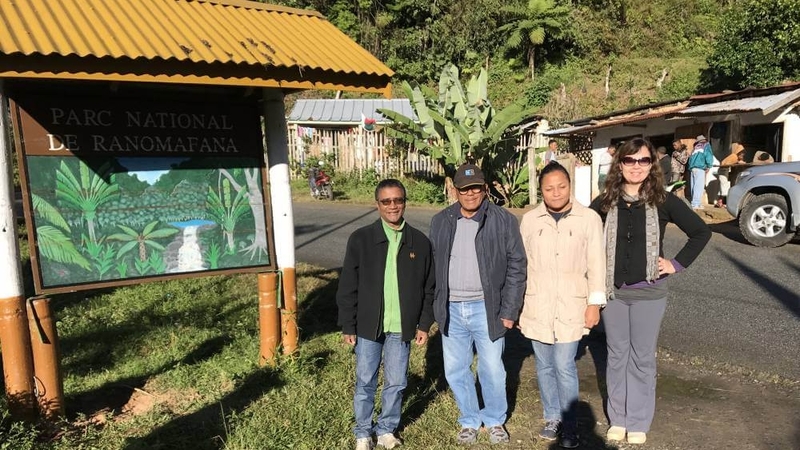 I am visiting Madagascar as a consultant for MICET, a local Malagasy NGO, to help them set up a new grant that will establish a protected area in western Madagascar. On our way to this new site we stop at Centre VALBIO. CVB is a state of the art research facility that also serves as the base of operations in country and partner for Madaworks. I get the chance to talk with Prisca, the Madaworks Scholarship Coordinator, about our scholars and some of the new applicants. There are so many new applications; I wish we could fund everyone. She also updated me on the weaving group and how much they are selling. The highest numbers of tourists visit Ranomafana in July and August and the profits are very good. I was sad not to be able to visit the weaving group, or to meet any of our scholarship recipients but I was happy to at least be able to meet with Prisca. The next day, I walk to the Ranomafana National Park Entrance from Centre VALBIO. I am amazed at how many tourists are lined up at the park entrance, loads of them spilling out of tourist vans. I remember when there was a small path that lead from the road to the forest. The first year we stayed in tents in the forest and huddled around a small fire covered by a tarp for meals. We were never dry or warm. Once a week we were able to go down to town and take a hot bath at the mineral springs at the only hotel in Ranomafana, the Hotel Thermal. Eventually a small cabin was constructed in the forest. The cabin was a community structure where we could meet, cook and keep our valuables fairly dry. Centre VALBIO is an amazing upgrade to the humble beginnings of Ranomafana National Park. I am also brought to awe by the number of jobs that the Park has brought to the community. Some locals have transformed themselves into excellent tourist guides for the park. Centre VALBIO supports over 100 employees. 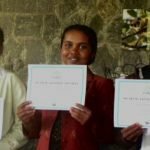 PIVOT, a healthcare NGO nearby, employs many locals and is successfully getting them better healthcare. There are so many hotels and restaurants in Ranomanfana that have sprung up over the years it is difficult to keep track. The weaving and basket groups are also successfully selling their wares to tourists. All of this has significantly changed the local economy. I know that Madaworks is on the right track when we support the education of young women because these women will be better equipped to participate in the prosperous economy of the region. 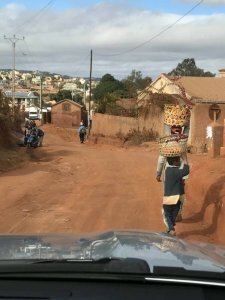 The exquisite wildlife draws tourists to Madagascar, but I am constantly reminded of the generosity of the Malagasy people. Their limitless smiles and warm personalities are a reminder that no matter what our situation is in life there is no reason to not be happy. The Malagasy people have the ability to make things happen against all odds. Being part of Madaworks makes it possible for me to give a little back to a group of people that have welcomed me for so many years into their lives and have taught me so much about happiness. I am inspired to come back to the US and work on fundraising so we can support the education of more girls!